Some of my favorite recipes are frugal and fast! 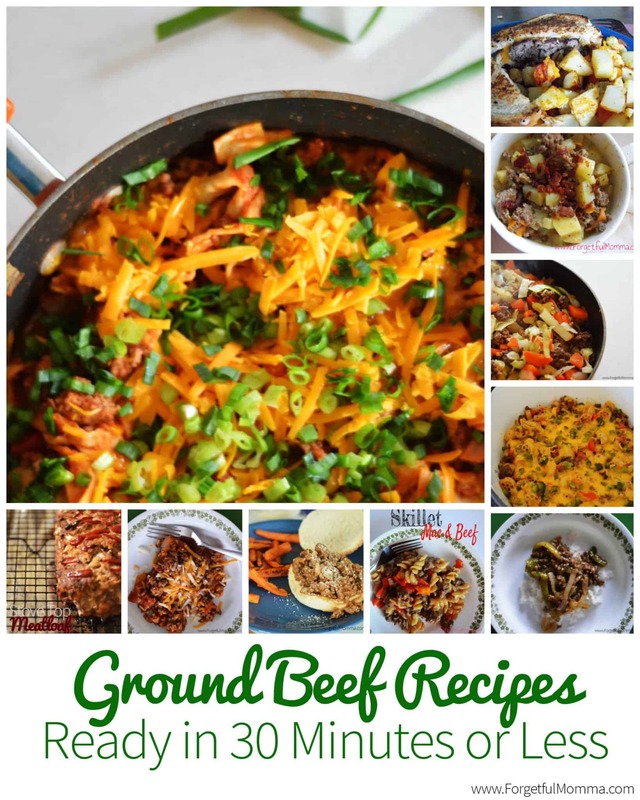 The one main ingredient that always delivers is ground beef. Ground beef recipes that are ready in 30 minutes can be frugal depending on the price when you buy it and how much you use for a recipe. 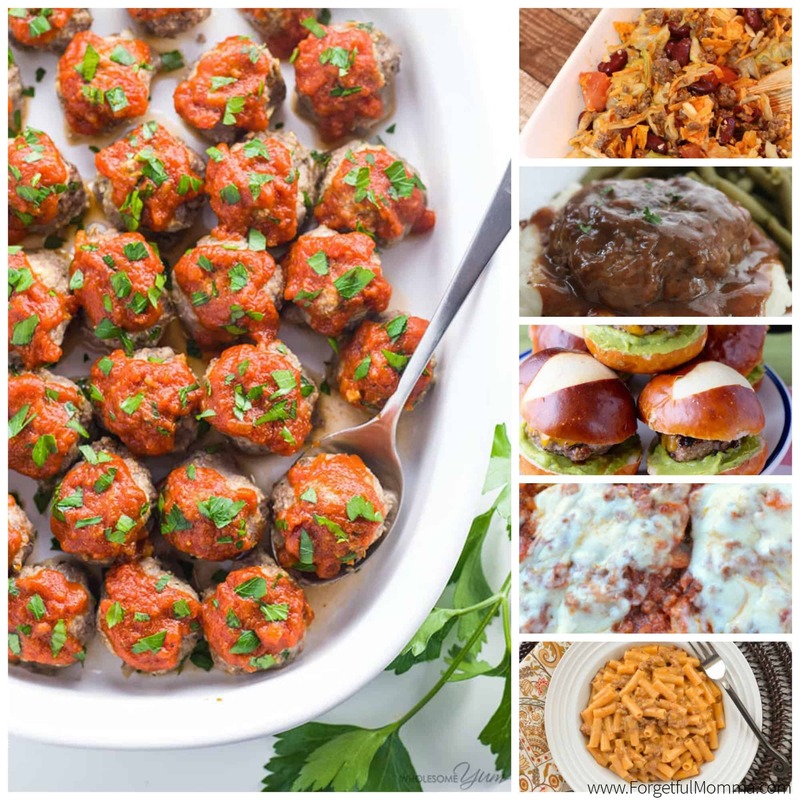 Here are so many great ground beef recipes that are ready in 30 minutes, or less, making them perfect for busy nights, or those times when you have forgotten that you have to feed your family every night! PLEASE LINK UP TO THREE FOOD POSTS TO THE TASTY TUESDAYS’ LINKY PARTY! PLEASE follow the hosts of this party through one of their social media listed below. They will visit your post and pin it. Just pick one (or more) of the options below and please follow them. Please link up to three food-related posts that have never been linked up here before. Posts containing alcohol also will not be pinned. Place this button or a link to this post somewhere on your site–either on the actual post or on your sidebar or on your party page. As a thank-you for linking up, we will pin your recipe to the Tasty Tuesdays at Creative K Kids Pinterest board. Please follow the board to see all the great food recipes! By linking up, you agree to let any of the hosts or co-hosts use your pictures and links if they decide to feature your post. Your photo may also be used for promotion on any of their social media outlets. If you include your e-mail in the linky form below you will be added to a weekly reminder e-mail when the link party goes live. Your e-mail will not to added to any other lists or given out. You can change your mind at any time by clicking the unsubscribe link in the footer of any email you receive from us, or by contacting us at ashley@forgetfulmomma.com. We will treat your information with respect. For more information about our privacy practices please visit our website. By clicking below, you agree that we may process your information in accordance with these terms. Previous Post: « Earth Day – What Can We Do With Our Kids? Forgetful Momma – Ashley Mullen is a participant in the Amazon Services LLC Associates Program, an affiliate advertising program designed to provide a means for sites to earn advertising fees by advertising and linking to Amazon.com.